Design magazine Don't Panic is currently running an art competition to celebrate the long-awaited release of Street Fighter IV. 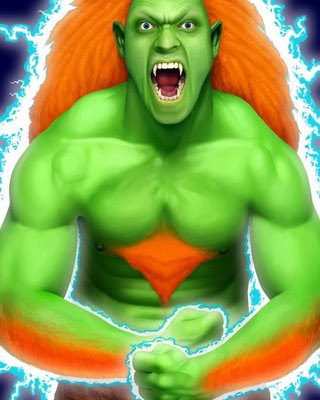 My entry is this portrait of my favorite character, the Brazilian mutant Blanka. The winner of the Don't Panic contest receives a PlayStation 3, a copy of SFIV and will have their design printed to 100,000 posters. 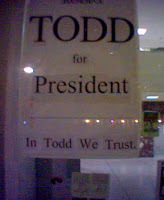 Voting ends on March 22, so please help a brother out!